Meryem’s is a grand looking boutique hotel with a humble Cypriot story. 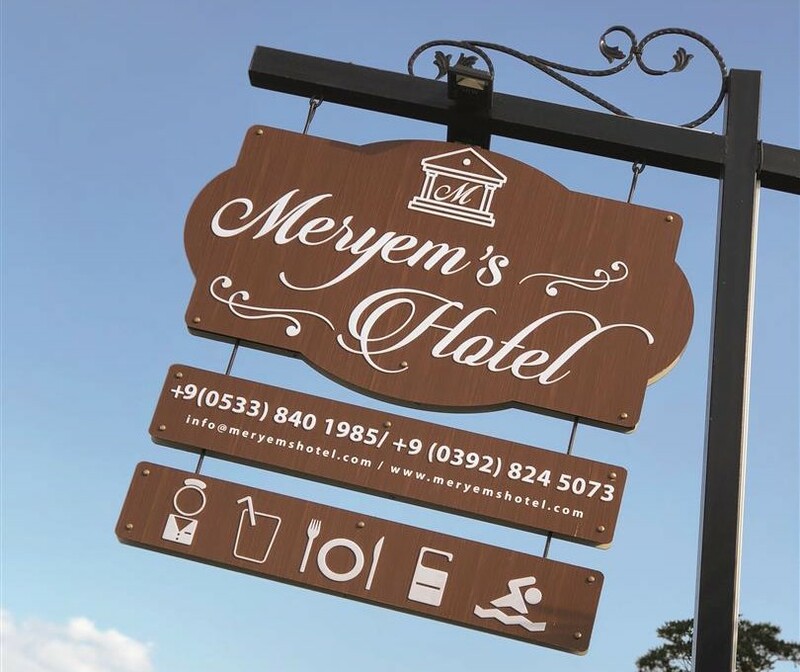 The property was built as a home for the family that today run it, and Meryem is the name of the lady who created it. At age 9, when Meryem and her parents were forced to leave war torn Cyprus to take refuge in the UK, Meryem envisioned that she would return and build a house ‘bigger’ than the one-room traditional Cypriot family house she left behind, and that remains in her village Pile. Her dream was to build a grand house with four Doric columns, surrounded by its own lush garden blooming with plants, flowers and fruits of Cyprus, and encircled by a gold trimmed gate. Three decades, a husband, three children and a very successful restaurant business later, Meryem built the house of her childhood imagination and dreams, and in 1999, together with her husband and children, Meryem returned and settled into her house in Cyprus. Since, however, the children have moved out, leaving Meryem and her husband, Zekai, to live in this grand house with a lust to accommodate family and friends. This led to the establishment of Meryem’s Hotel. Meryem’s Hotel of imagination and dreams opened its gold trimmed gates to the public in 2017. Renowned for its Cypriot hospitality in the scenic village Catalkoy, the family look forward to welcoming and serving guests in their accommodation. Meryem’s promises a unique and friendly experience in an elegant and tranquil Cypriot environment.